After weeks of speculations, Creative officially reveals its crown jewel for this holiday, the Creative Vado HD. The new Vado HD is the same size as the old Vado (except for the protuding lens part) though it weights 16grams more. However, the Vado HD packs more punch with it's high definition function and its pre-included HDMI cable and silicone skin. In the accessories department, we have a new waterproof pouch and a yet-to-be announced flexible tripod stand. 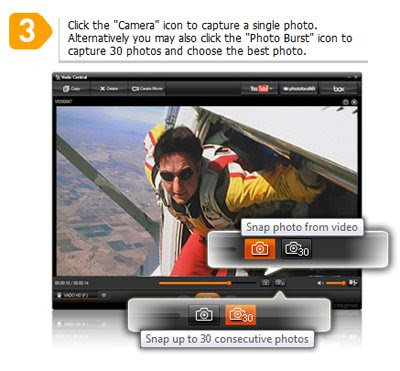 Although the Vado HD is still unable to take still pictures, you can use the pre-loaded software to select 1 of the 30 frames (Vado Hd records at 30 frames per second) and capture an image. 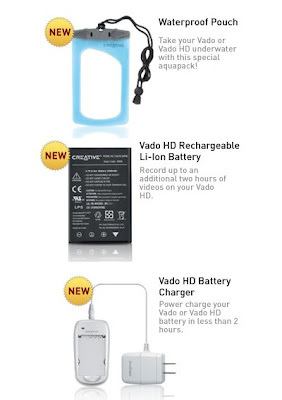 We will be getting a review set of the Vado HD, so do check back on us for a detailed review of the new pocket video cam from Creative! The Vado HD will retail at SGD$349 in Singapore and USD$199.99 in the US. Its Europe pricing is expected to be about 149EUR. Did you buy one at Sitex 2008? And I think there is a photo burst mode that allows single snapshots or successive snapshots. The Singapore retail price is S$349 before any promotion, not S$299. ALL I WANT FOR XMAS IS A CREATIVE VADO HD. WHEN IS THIS COMING TO THE STATES?? I e-mailed them and they said possibly before the end of the year. $349 in Singapore is pretty expensive isn't it? i bought one last sitex show in singapore. Very cool product! Only at $299 (special offer). How does it compare with the Flip MinoHD or Kodak Zi6? Any drawbacks? 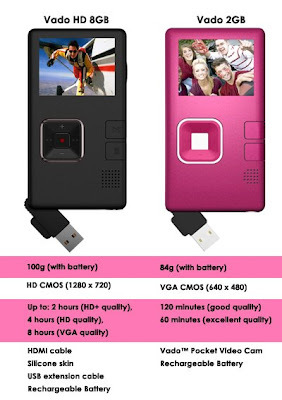 Can someone list the pro's/con's for this Vado HD camera compared to the Flip MinoHD camera? Amazon now has this listed as being released on December 7th!!! SWEET!